An excellent possibility for those who have only one day to explore Listvyanka and all beauties of Baikal Region. This tour is operated between the village of Listvyanka and Chernaya valley. Driving your dog sled pulled by Baikal huskies you will travel through snow-covered taiga to reach "Dark" valley called so because of dense forest around where our welcoming inn is located. We will go back by the frozen lake or the woods - depending on the season. 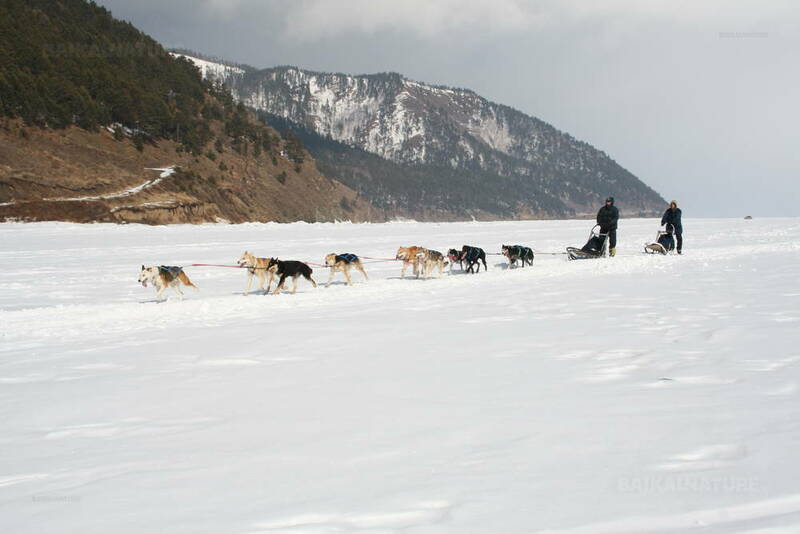 We will meet the dogs and receive all the instruction necessary to drive a dogsled. We ride through taiga towards Chernaya valley (16 km/10 mi north of Listvyanka). Return on a dog sled to Listvyanka by the lake or by taiga - depending on the season. Arrival in Listvyanka. End of the programme. This tour has an open date. Please contact us for more information. English speaking guide service supplement 4 300 RUB / day.